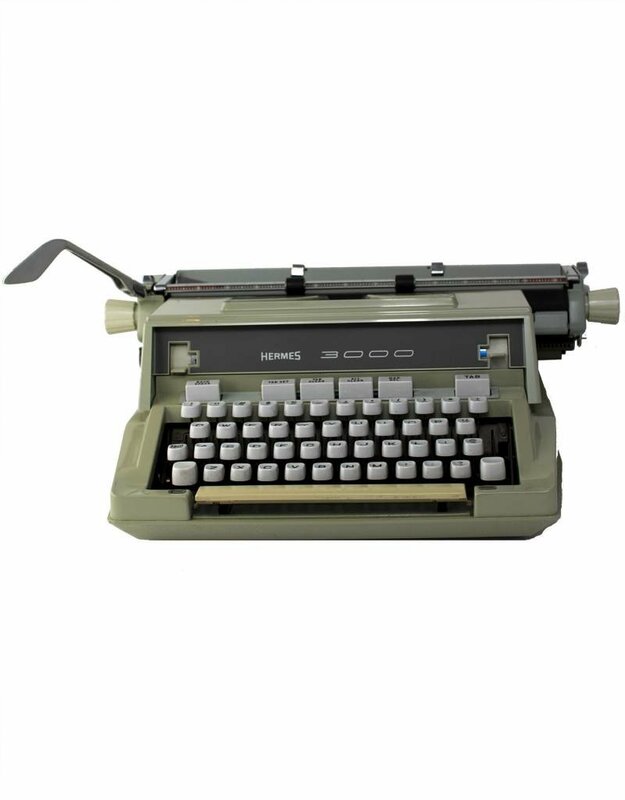 notes: fresh oil and lube. 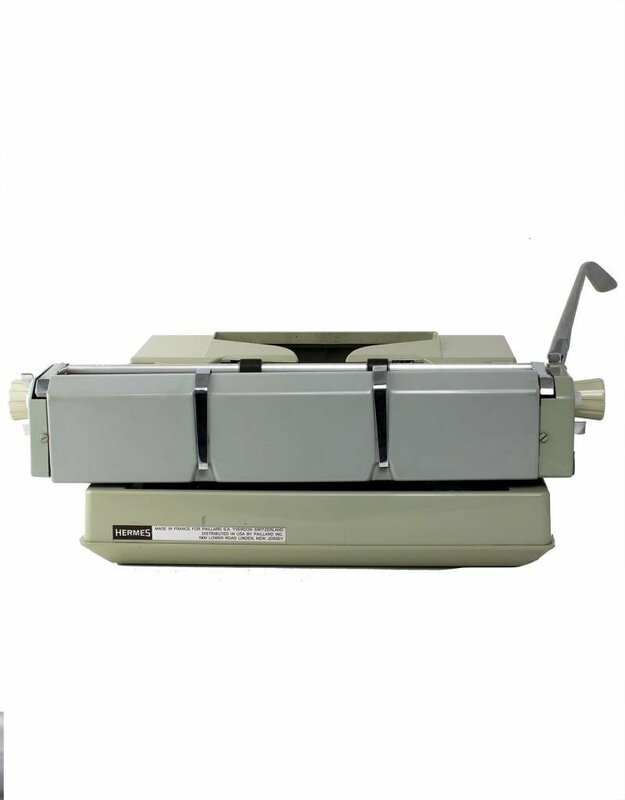 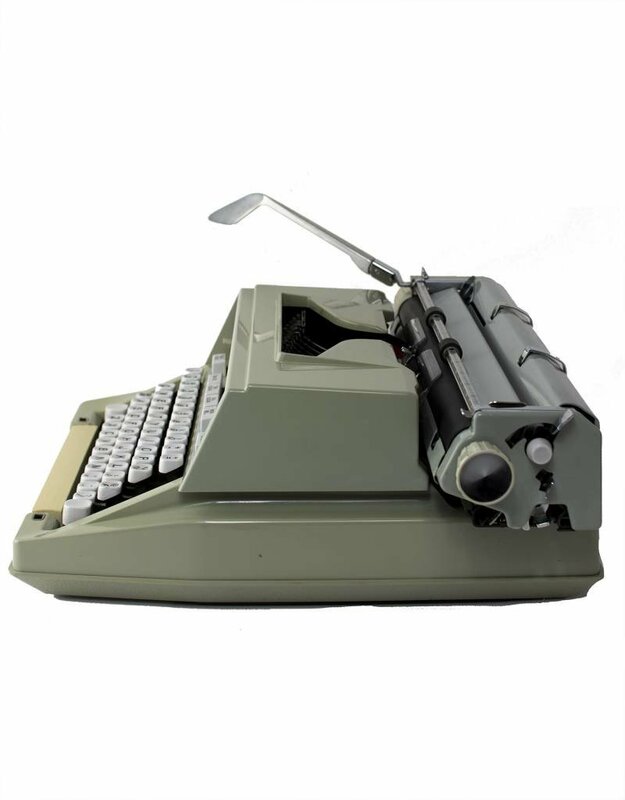 The Hermes 3000 was a lightweight, segment-shifted portable typewriter manufactured by Paillard-Bolex. 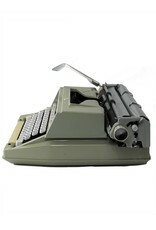 "Bulbous" and "angular" in shape, it came with a fitted, hard-shell removable cover. 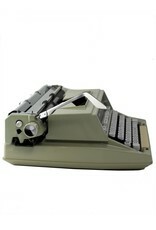 The machines were built in Yverdon, Switzerland, by Paillard S.A. 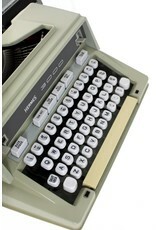 The Hermes 3000 was introduced in 1958 as a successor to the Hermes 2000. 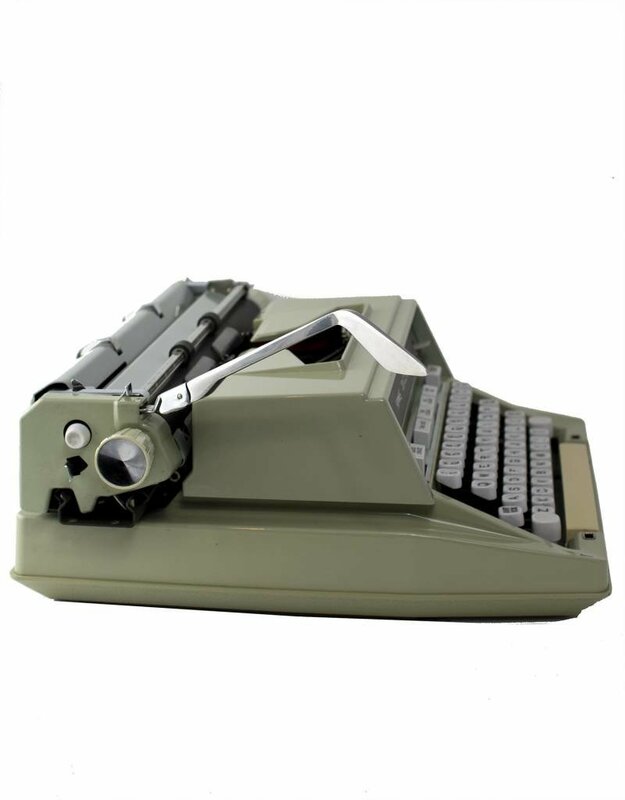 The original Model 1 was produced until 1966; with subsequent design modifications to the external casing and a variety of subtle changes in colour finishes, the Hermes 3000 was manufactured into the 1980s. 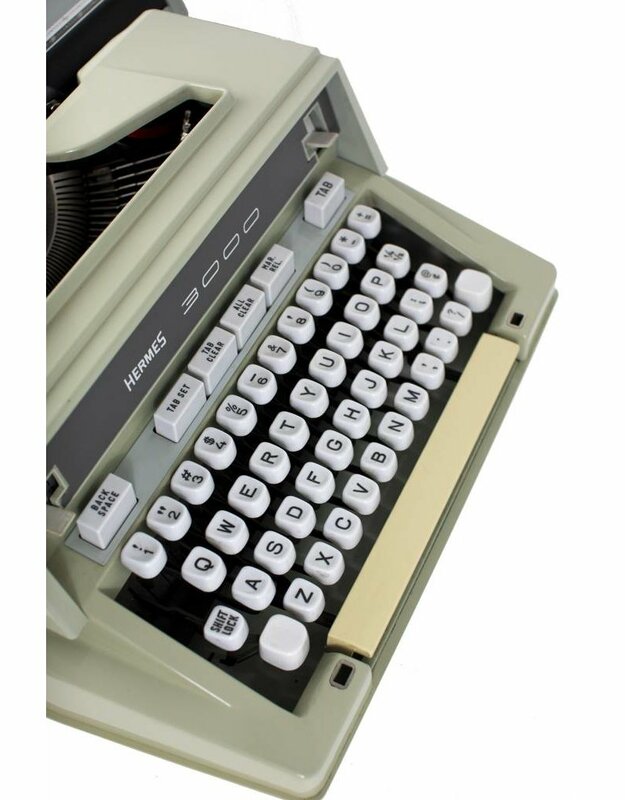 Although it was a portable machine, the Hermes 3000 had a few deluxe features, such as a "beyond the margins" key and a separate key that could be depressed to free any jammed keys and return them to their resting position. 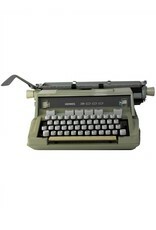 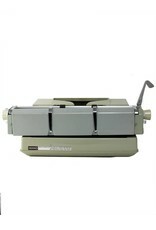 The typewriters predominantly came in a light green (occasionally described as a mint or "sea-foam green") colur.